Attention all investors!! 2.8 Acres! 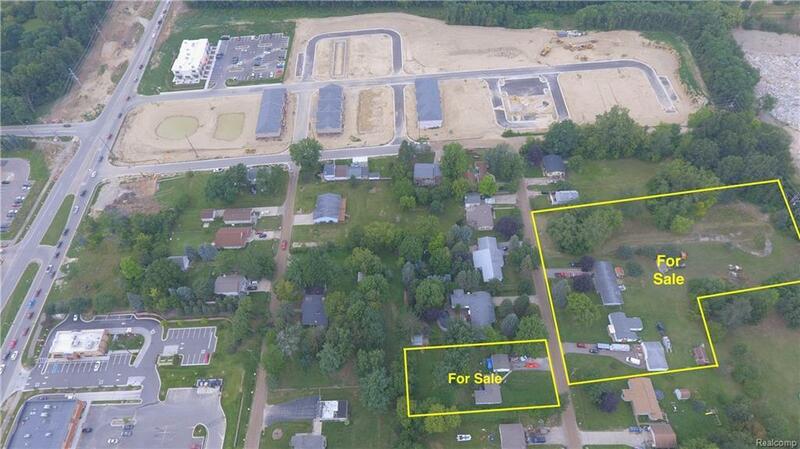 This property can be sold as residential or commercial. Zoning is labeled as "Brown Road Innovation Zone". Prime location for hotel, multi-residential, restaurant, or retail. About .3 miles from I-75. Within walking distance to Great Lakes Crossing, multiple major department stores, and restaurants. Baldwin Rd, and Brown Rd are expanding to accommodate growth in the area. One of many properties for sale. This price includes 0932379068, 0932378064, 0932379069.